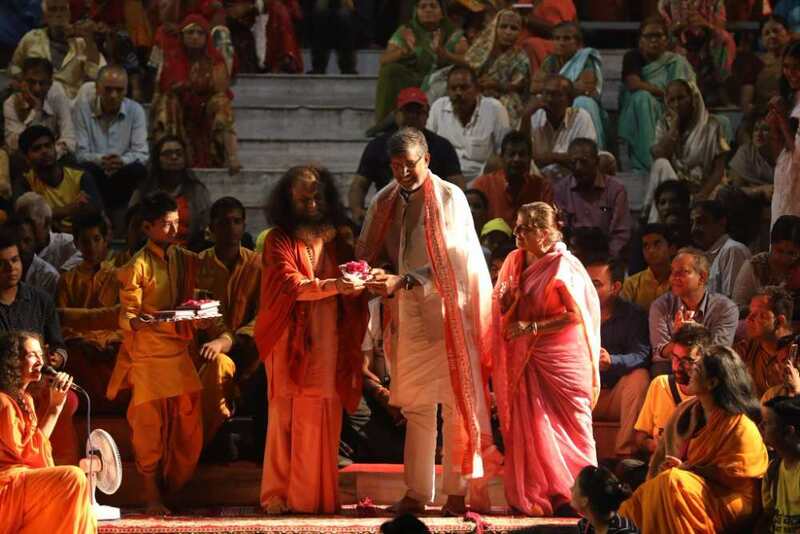 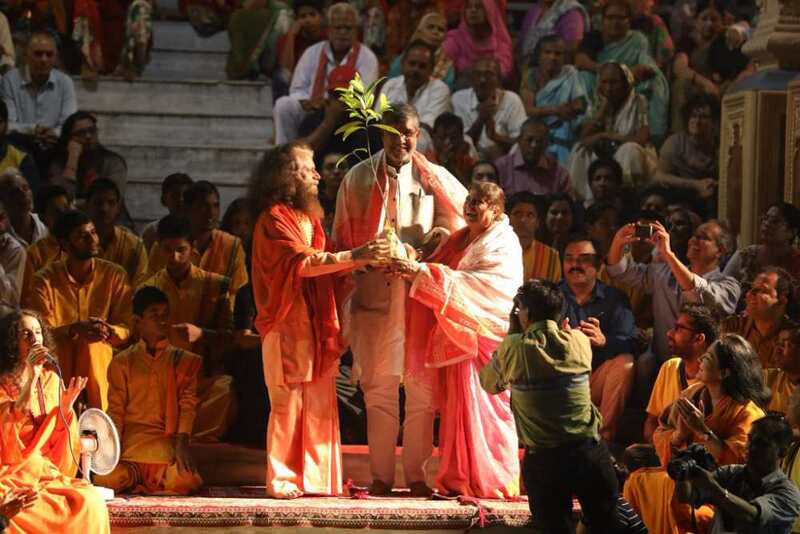 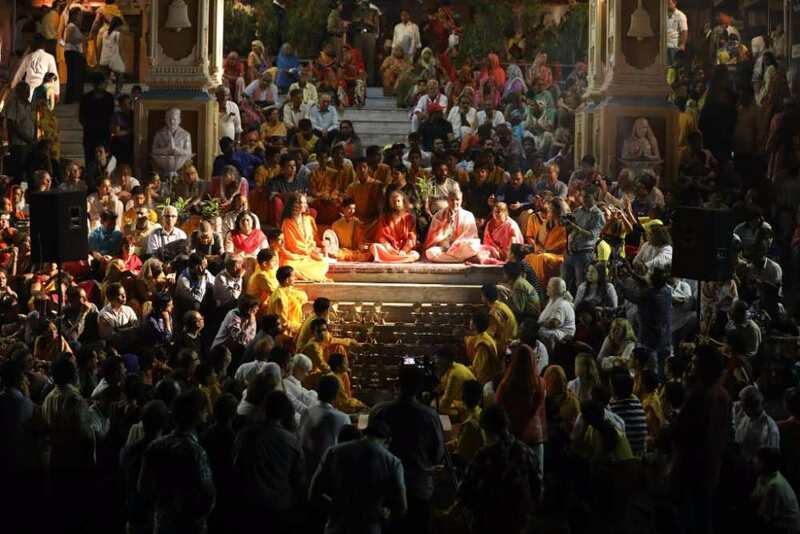 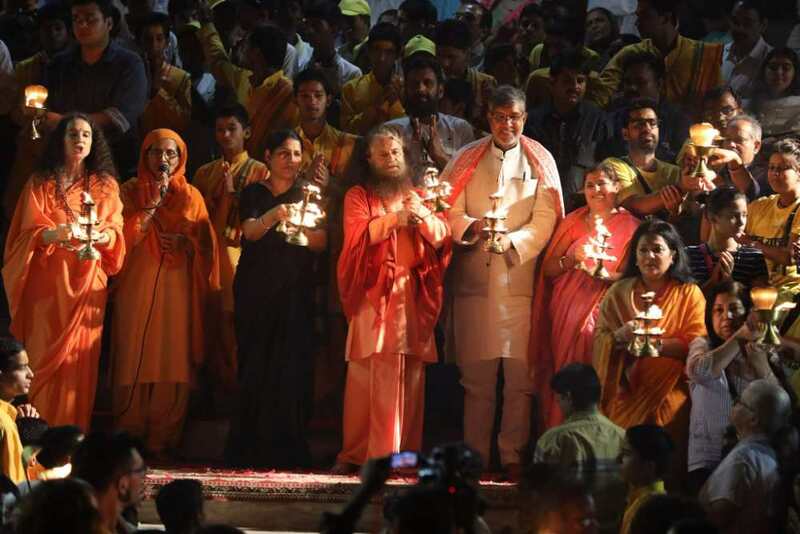 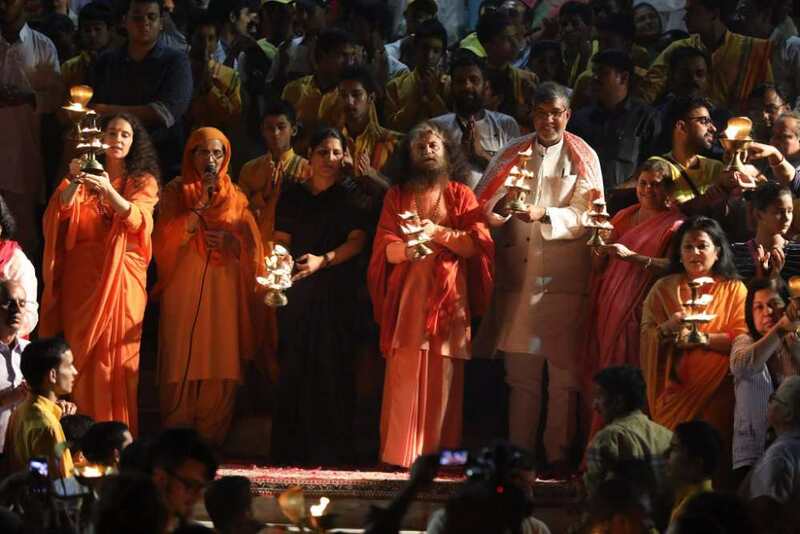 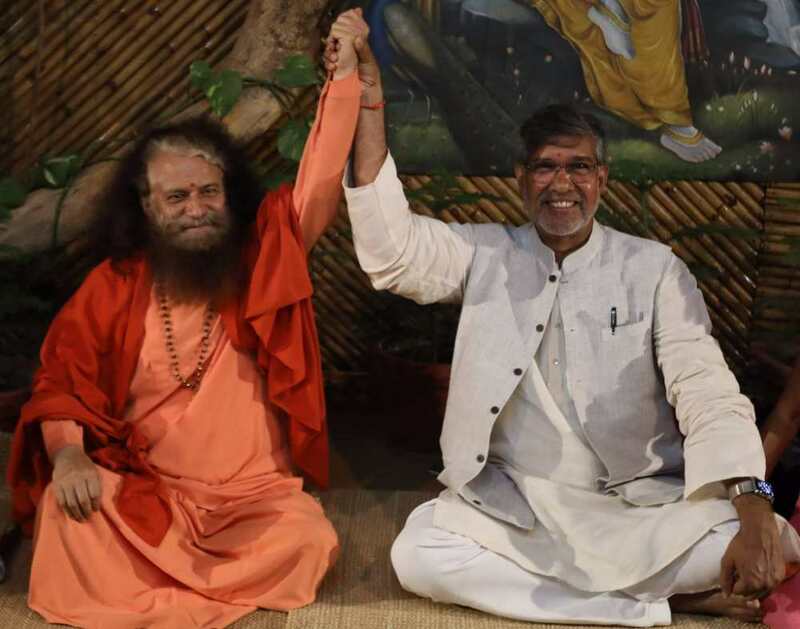 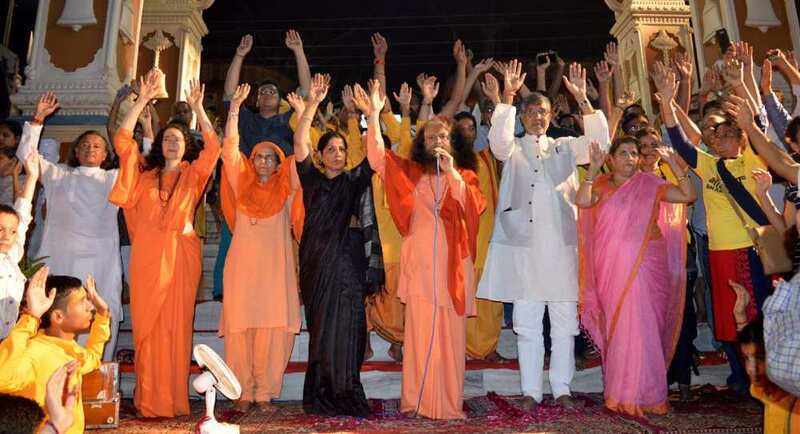 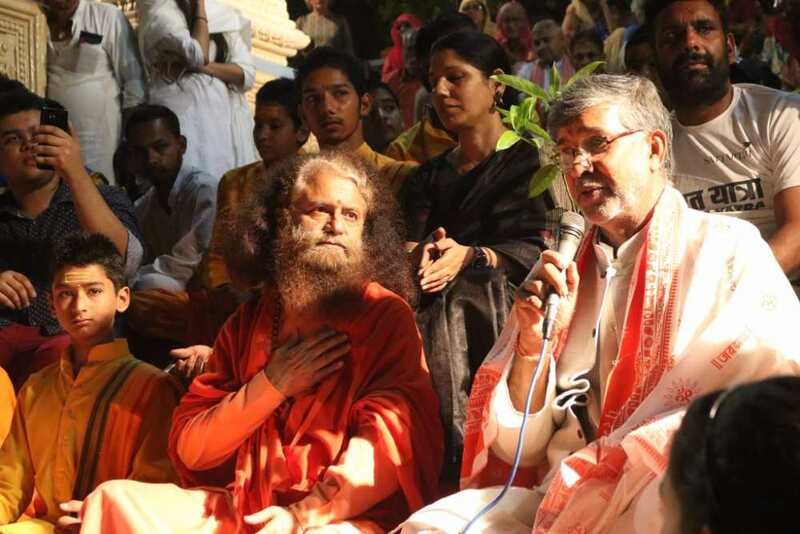 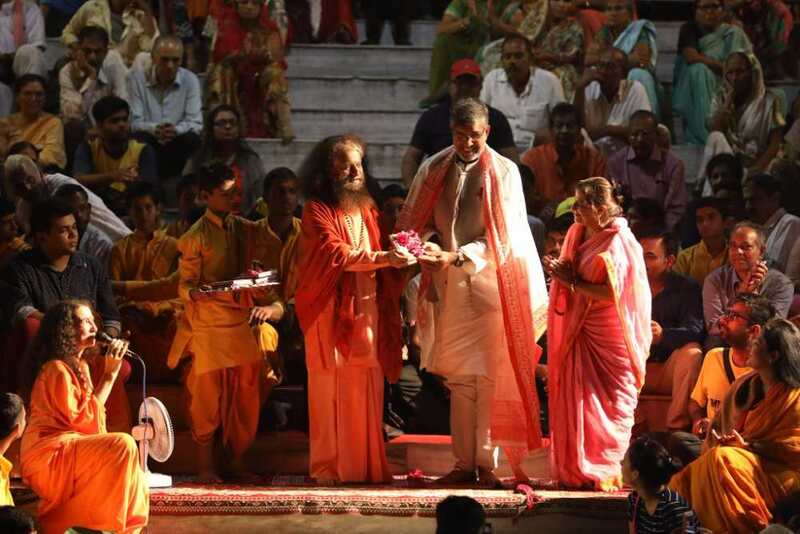 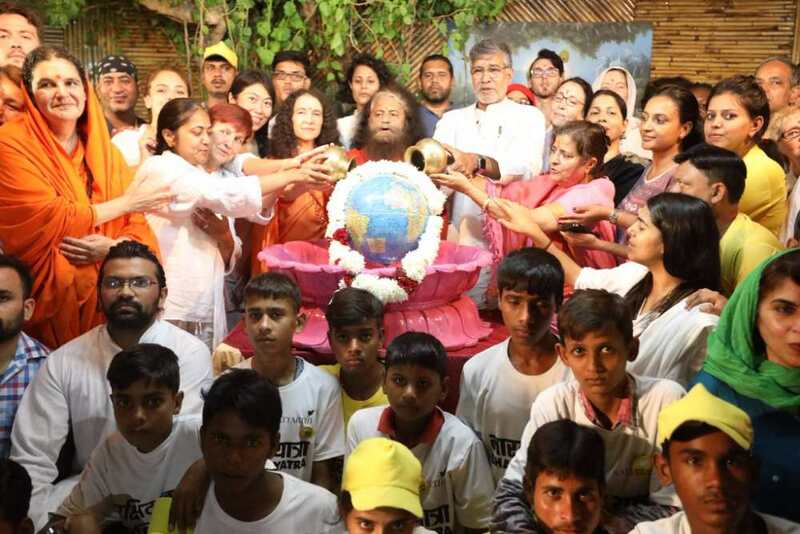 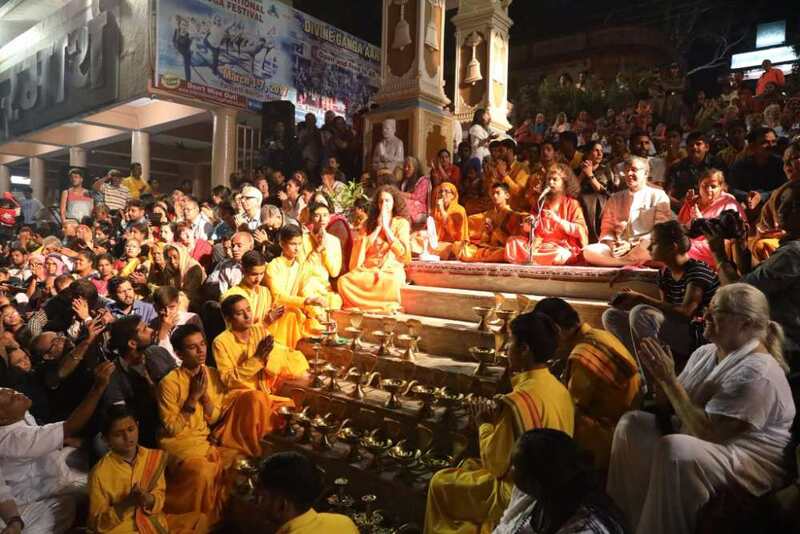 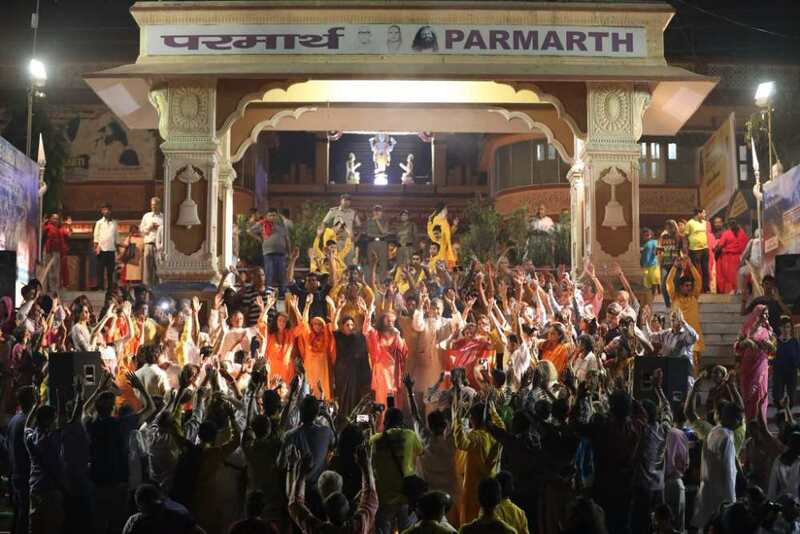 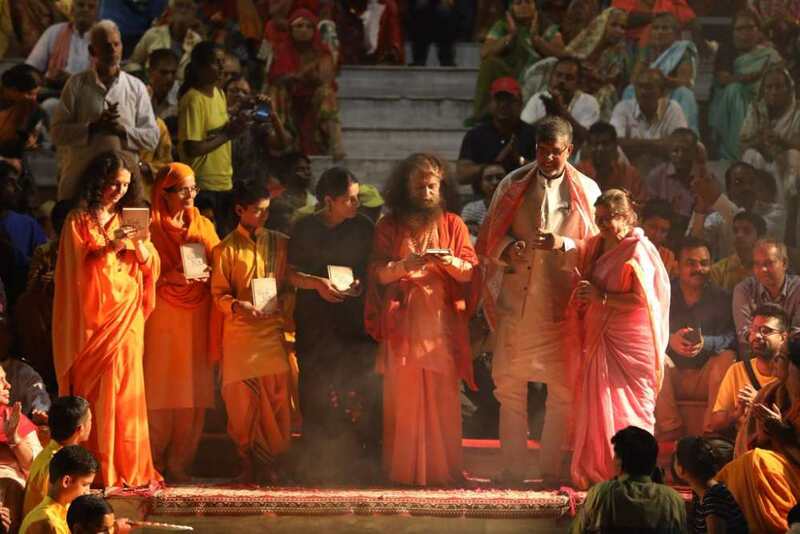 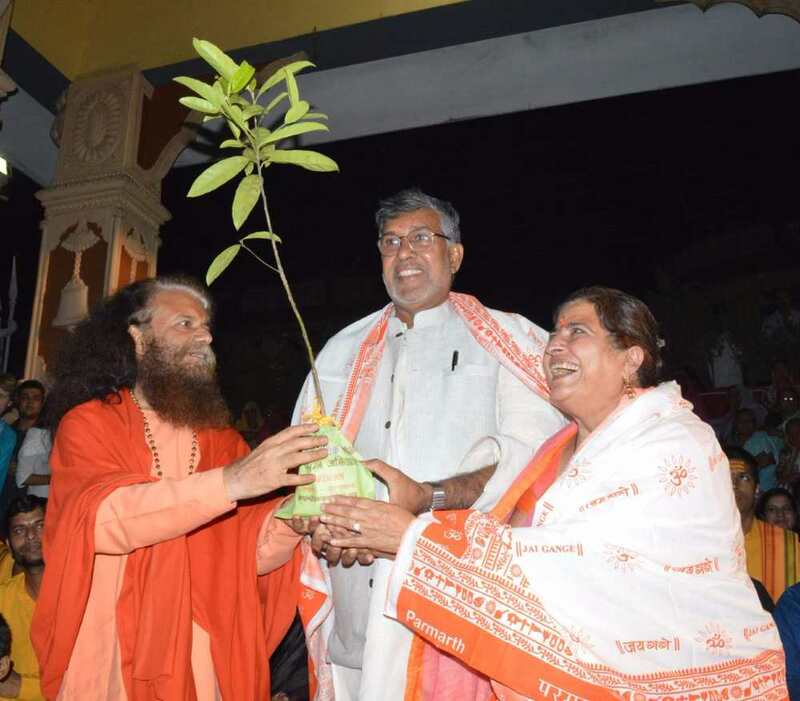 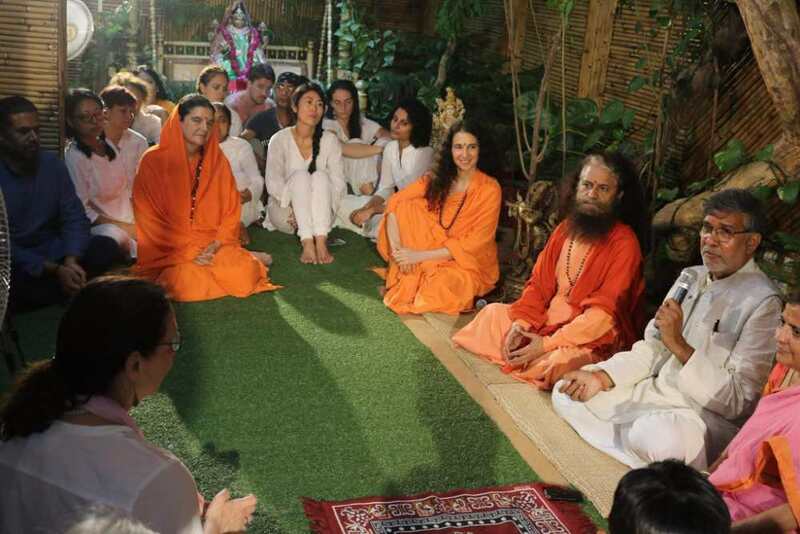 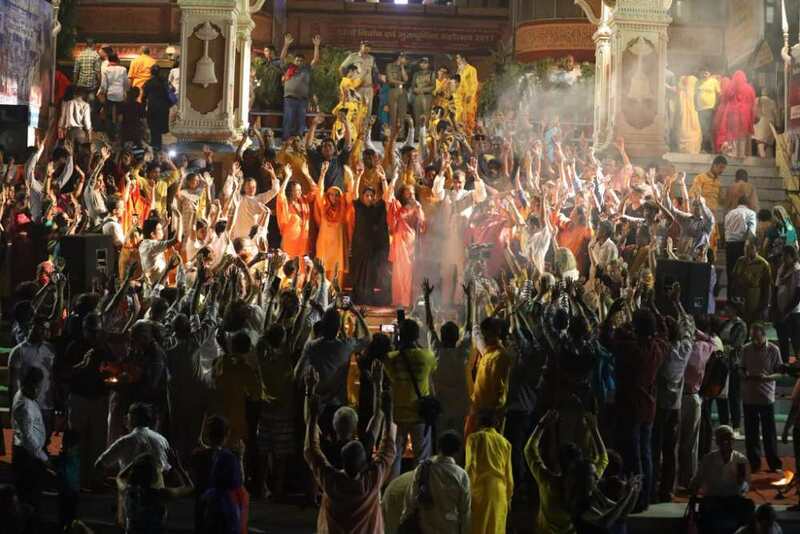 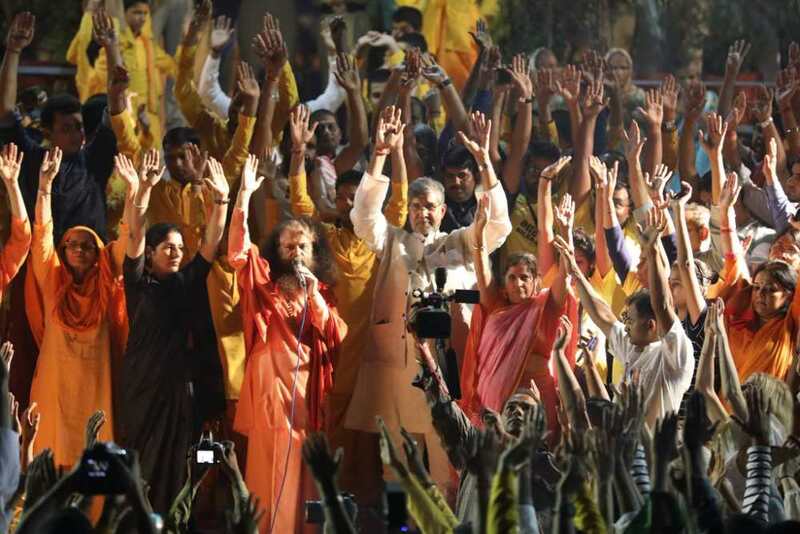 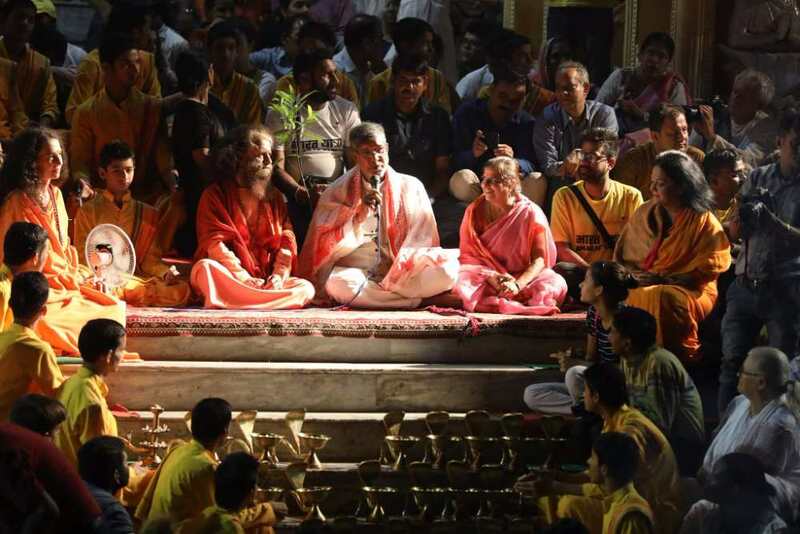 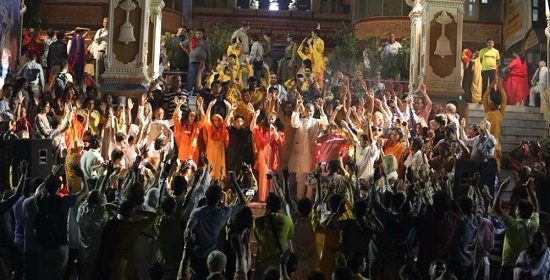 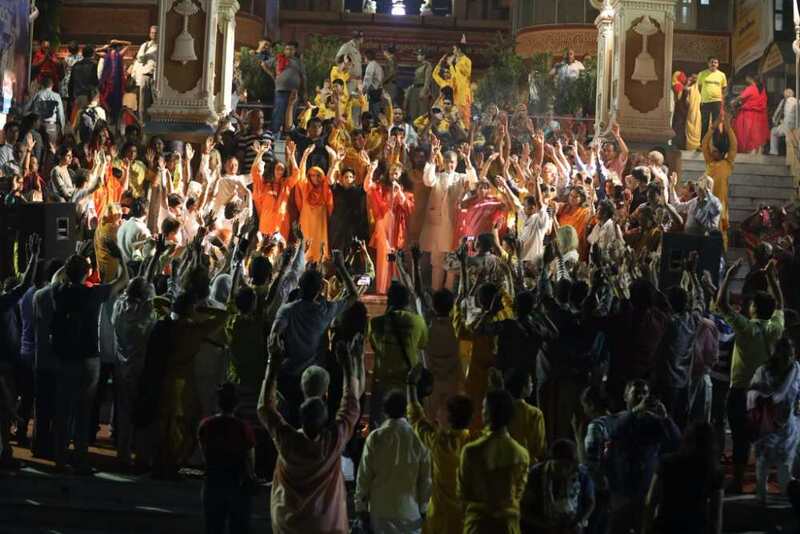 HH Pujya Swami Chidanand Saraswatiji – Muniji​ President of Parmarth Niketan​, Sadhvi Bhagawati Saraswati​ji, President of the Divine Shakti Foundation​, along with pilgrims from over 15 countries and all across India welcomed Nobel Prize Laureate Shri Kailash Satyarthi​ji and more then eighty members of his Bharat Yatra against Child Sexual Abuse and Trafficking to the banks of the River Ganga to Parmarth Niketan (Rishikesh). 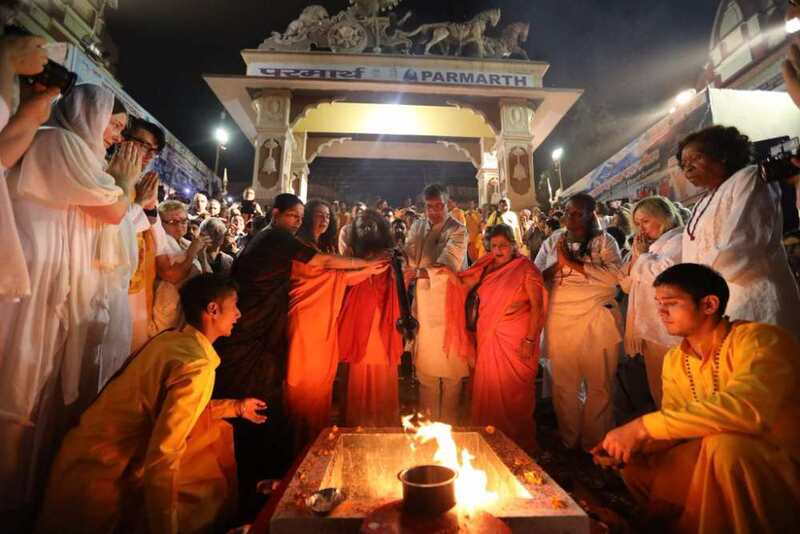 The Yatra has been travelling the entirety of India since early September. 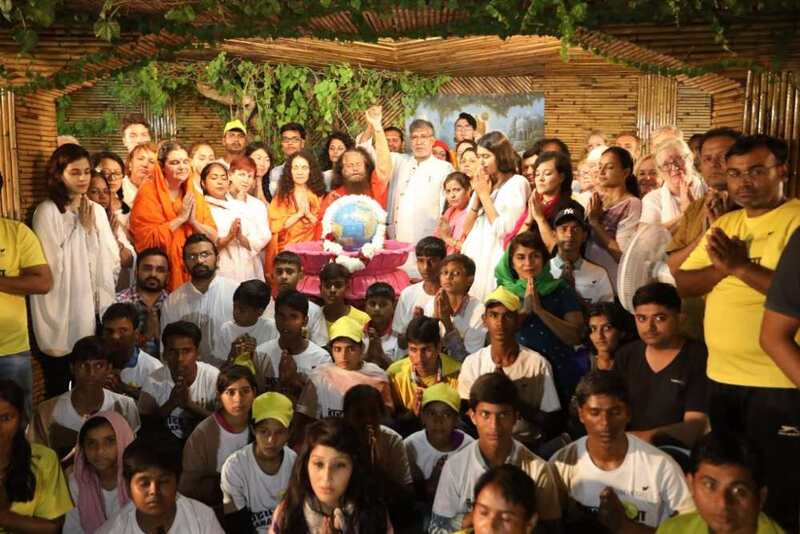 Now in its concluding weekend, the Yatris had an awareness raising event in Dehradun yesterday at the Graphic Era University and came home to Parmarth Niketan, on the banks of the River Ganga, to celebrate their historic pilgrimage and share poignant messages in hopes of eradicating the suffering of children. 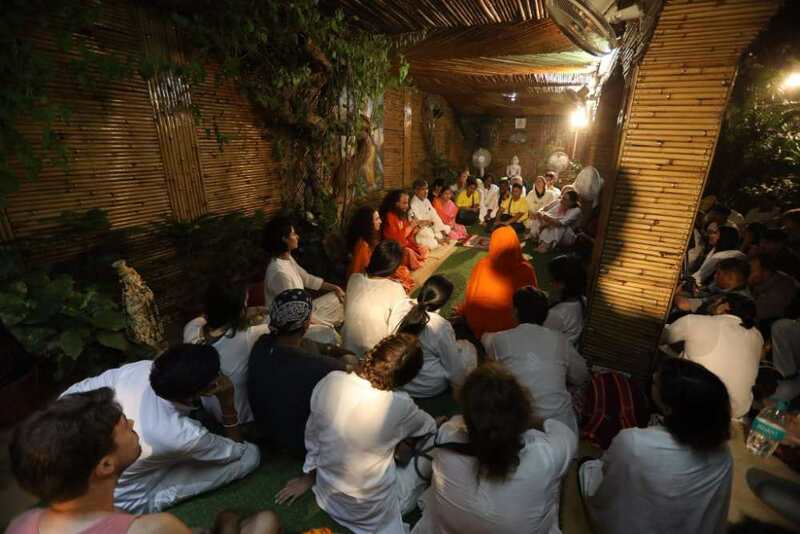 Departing this morning from Rishikesh they move to the last leg of the yatra concluding in Delhi at the Rashtrapati Bhawan on the 16th October.